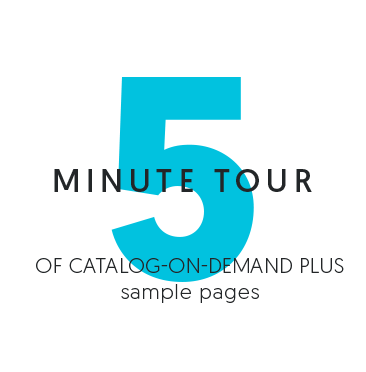 Catalog-on-Demand includes an online tool for editing the product data that you use for making print catalogs and other publications with Catalog-on-Demand. This tool is called Private Data Editor (PDE). Most customers use PDE when they need to tweak only a few products. They use PDE's import/export features when they have to edit a lot of products. The purpose of this article is to get you started. Later we'll have more in-depth articles on certain topics. A word about "Products" and "Items" before we get started. We use the same definition as Google. The main concept is that Items belong to Products. Some Products can occur in multiple variations. These variations differ by attributes such as color or size. Item refers to a single variation of a Product. Now lets take a look at PDE. Here is the link: http://app.catalog-on-demand.com/codpdeditor. Use your regular user id and password to log in. If you have already imported data, you will see a "Project" on the left titled General. Expand this to see your Sections and Products. If you have NOT already imported data, click on the Add New Project icon in the top of the left frame. Please name your project General (sorry, only Enterprise customers can have more than one Project). Right click at each level to see what you can do. For example, right click on General to add, edit, or delete sections. You can right click on Sections to add Subsections, or to add Products. Single click on a Product to preview it on the right side. Double click to edit. Right click to add an Item. If you have been around product databases before, you'll recognize most of what is available. Experiment to see how it works. You'll want to start a Product with "core data". This includes the name, the URL back to your e-commerce site, and image. Most products also have a description. Attributes (sometimes called characteristics) exist at both the Product and Item level. For Products, you enter labels and values on the Attribute tab. At the Item level, you enter labels at the Product level, and values at the Item level. Feel free to use simple HTML in your description. This should be enough to get you started. Our most important message is this: publish as you go! This is by far the fastest and easiest way to see if you are properly loading your product data. It is simple. After you have done some editing in PDE, go into Catalog-on-Demand and create a publication with those products. You will see immediately what you did right and wrong. And if something does not make sense, please send us a support message. Good luck, and let us know how it goes! You can use Private Data Editor (PDE) to change the sequence of products within a category (section). Enter the desired sequence number. Use a decimal number to place it between two other products. For example, if you want to put a product in 2nd place, then make the sequence number in between 1 and 2, such as 1.5. The sequence numbers for all products within the category will be automatically adjusted to whole numbers (i.e., 1, 2, 3...) after each edit. Catalog-on-Demand lets you publish manufacturer logos with your product data. This page tells you how to use Private Data Editor (PDE) to manage manufacturers and logos. Open the editing form for the first product to be assigned the manufacturer. On the core data tab, you see a dropdown list of manufacturers. To the right of that is a field called "or other". Enter the name of your new manufacturer in that field. You should see the manufacturer appear under the product name. Next time you open a product form, that manufacturer will be available in the dropdown list. Select the manufacturer you want. Click on the Manufacturers tab. Enter the URL for the image you want, or upload a file. A manufacturer is deleted if it is not assigned to any products. Many merchants prefer to use a print-friendly product description in their print catalogs. This description may be different than the description on their website. Usually they want to do this for only certain products. For example it is usually worthwhile to create print-friendly descriptions for your best selling and strategic products. This can be accomplished by using the "Locked Product" feature. This appears as a checkbox at the bottom of the product editing form in Private Data Editor (PDE). If checked, this product will not be overwritten or deleted by imports. This capability is also useful for products that you want to appear in your print catalog, but not on your website. You can create the product using PDE. Then be sure to check the Locked Product checkbox. This will prevent the product from being deleted on the next import, which will happen if there is no matching product in your source database. The Locked Product feature work equally well for images, attributes, prices, and any other content associated with the product. For example, you might want to use a different product image in your print catalog than on your website. Just remember to click the Locked Product checkbox in order to prevent your changes from being overwritten on the next import.